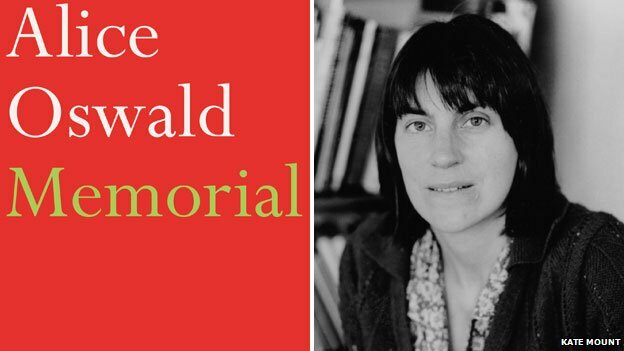 Alice Oswald has become the first poet to win the £25,000 Warwick Prize for Writing. Her winning work, Memorial, is a reworking of Homer's Iliad. "I'm very surprised and grateful, both to the judges and to Homer," Oswald said, when her win was announced on Tuesday night. The Devon-based poet made headlines in 2011 when she withdrew Memorial from the TS Eliot prize citing concerns about its sponsorship. The Warwick Prize, awarded every two years, is distinct from other literary prizes in that it is open to works of any genre, such as fiction, science, history and poetry. Professor Ian Sansom, chair of the judges, said it had been a "unanimous decision" to award the prize to Memorial. "This is a book that forges its own unique medium of expression. Memorial is a book that looks to the present as well as the past, which combines the personal with the political, and my fellow judges and I were thrilled by its imaginative and intellectual ambition," he said. The book, published by Faber and Faber, received some ecstatic reviews. Giving it five stars, The Telegraph said: "Oswald has achieved a miraculous feat. She's exposed a skeleton, but found something magnificently eerie and rich."